Wow! Over the past 3+ weeks (gah, my brain, my overloaded brain), I’ve had two amazing readers bestow on me The Leibster Award. I’ve been nominated for Two Leibster Awards in one month! Thank you to both Stacia Carlton, an amazing writer who nominated me first at the beginning of the year, and who was gracious enough to allow me to wait a few weeks and catch up on myself before answering. And also to the superb Whack-a-mole Mom, who nominated me, even knowing that I had been nominated previously and hadn’t yet fulfilled my end of the bargin. I deeply appreciate it and thank you both very much. I love the idea of this award, because it’s geared specifically towards bloggers who don’t have a huge following. Part of the criteria is to have less than 200 followers. If you look at any of my social media, you’d think I failed on this count (wow, did I ever think I’d say that?! You all are amazing, thank you for listening, reading, sharing, and ruminating. Just thank you), but if you count just the people who follow my BLOG through WordPress (either via the wordpress “follow” button for wordpress members, or through email), I am below 200… so that counts, right? 2) You must display the Liebster heart on your blog. PROUDLY. 3) You should nominate 3 to 5 up-and-coming blogs (Stacia’s rules variation say 11) with fewer than 200 subscribers. 4) Each person must post 11 things about themselves. 5) Answer the questions given to you by the blogger who nominated you. 6) Create 11 questions for those you nominate to answer. 7) Notify your nominees and provide a link back to your post (no tag backs because the point is to try and highlight new bloggers and spread the support). I have a thing for prime numbers (see above) – I love them! I constantly prime factorize, I look for primes, I will buy a prime number of things if possible, and they make me very happy. The only thing I don’t like in primes is stairs, because I always like an even number of stairs, so that my legs are even once I’ve climbed up them. Though sets of prime numbered stairs are perfectly acceptable, as long as there’s an even number of sets. I bought an alto recorder for my birthday and taught myself how to play it. 4 months later, and I can play most things I hear by ear, at least part of them. It’s super fun! I used to read textbooks at night before bed. Not textbooks for school, but textbooks related to my favorite subjects. I learned a lot that way. Sadly, now I usually simply curl up and remember to set my alarm before bed. I nearly always use reusable bags at the grocery store. I haven’t forgotten my bags once in the past 2 years. Sometimes I deliberately do not bring them, because I need plastic bags for my cat’s litter box trash can. But that’s a conscious choice, and they’re being reused before they go into the landfill. I fold my tissues into a triangle before using them, and continue to fold the triangle in half until the tissue is too small to use. I don’t know why I do this, except that my mother taught me to do it, and so I do. I’ve never seen anyone else do this, but I think it makes using the tissue more efficient and less wasteful. Right?! One of my absolute favorite stores is Costco, because it’s huge and organized and full of awesome. I try to go during off-peak hours (yes, there is such a thing). I know my local Costco backwards and forwards, and can tell you exactly where everything is that you are looking for. That is, until they changed the layout! Still working on the new floorplan, but I’m pretty close. My car has an ipod cable that charges my ipod. I put my ipod on shuffle in 2009 and it hasn’t been plugged into my computer since. I keep trying to listen to everything all the way through, but sadly it has reset itself several times. I keep hoping that one day I’ll manage, though. And in the mean time, I love my ipod on shuffle. I stress-bake. And I make a really really good chocolate chip cookie. I basically use the recipe from the back of the chocolate chip package, but somehow they turn out amazing. Maybe I’m just good at following directions? But I love bringing in the results of my stress and leaving them for people to enjoy. 1. What three items can you not live without? 2. Which book most impacted your life? 3. What would be the first thing you would do should money not be an obstacle? This might be selfish, but I’ve always dreamed of living on my very own sailboat, just me, my cats, and my stuffed animals, and sailing all over the world to explore the wide open ocean. So I think that might be the first thing I do. 4. Which song best describes you or your life? I really can’t give a good answer for this. BUT, I really love musical theater, and Wicked is one of my favorite shows, and I’m rather partial to both “Defying Gravity”, because it’s all about pushing past the limits society has put on you. (Plus I really like having my feet not on the ground, so that also applies there.) I also really like the final duet, “For Good” – it’s very much how I feel about my best friend, who I grew up with and who really helped to shape my life in so many good ways. She was the first person who really “took the third glance” at me, and taught me the meaning of friendship. Neither of these, however, describe me completely. If I am happy with myself and the outcome of something then I have almost always been successful. Even if I haven’t done everything required, if I am proud of the work I’ve done, and if I am happy that I have done it, then that is success to me. 6. Do happiness and success mean the same thing to you? See above, with the one caveat that quite literally, “success” could mean “complete the task set out to do”, whereas “success in life” to me, is happiness. Comedy – drama is often (though not always) too stressful. Though not most comedy, because most comedy is too brash for me. Well thought-out, intelligent comedy, though, I really enjoy. 8. In which direction would you choose to travel were you able – forward or back? Neither? I’ve come to believe that I am who I am because of everything that has happened in my past. I’m happy with who I am, and am always striving to make myself better. However, I firmly believe that skipping forward would not be terribly wonderful either – I don’t want to skip out on my life! 9. Are you a couch potato or the Energizer bunny? Compared to most, Energizer Bunny (though without the big ears, sunglasses, or drum). Compared to some, couch potato. I want to be a professor at a nice research university, where I’m running a laboratory of my own, and have the chance to teach classes I really enjoy (and develop new ones), run a working research group, and help students grow from undergrad to PhD-hood if they so choose. Luckily for me, I’m on track to get to my dream job, and I’m loving (nearly) every second of it! 11. What is your greatest accomplishment? 1. Which of your own blog posts is your absolute favorite? Explain why and link please. Really, truly, I love the piece I wrote that started this blog and gave it its name. I’ve written a lot of things I’m proud of (hence the page at the top of this blog called “posts I’m most proud of” – if you’re new here, please check it out), but standing above the rest, is currently (and it does oscillate some), “The Third Glance” – it applies to so much more than just autism. And it’s a reminder that everybody is human, and when you look for that humanity, you find that wonder. 2. What song makes you perk up every time you hear it? I actually answered this in one of my most recent posts. The song is Orinoco Flow by Enya – read about it here. 3. What book are you reading now (or what’s the last book you can remember reading)? I’m currently reading an essay by Thomas Kuhn called “The Structure of Scientific Revolutions”. 4. List three words that describe your life. Google Sky Maps – I mean, you can point at stars with it and it’ll tell you about what you’re looking at! Super cool. 6. What keeps you up at night? 9. What would you love to learn if you had the time? I’d love to learn another instrument, possibly a reed or double reed instrument. Or any wind instrument, really – I think I’ve got most of the strings and the piano figured out, and I can play a recorder (see above) and also the fife (don’t ask). But I’ve never actually learned how to play something like the oboe or the bassoon. I’m also interested in the French horn. Or maybe the accordion. Or the guitar – it’s an inherently social instrument, but I would really love to be able to actually play one. 10. Which holiday do you love the most? I don’t really enjoy holidays much. 11. Are you sorry I tagged you? Just as a disclaimer, while I am “nominating” you, really I just want to bring awareness to your awesome blogs. Please don’t feel obligated to write a post in response at all! 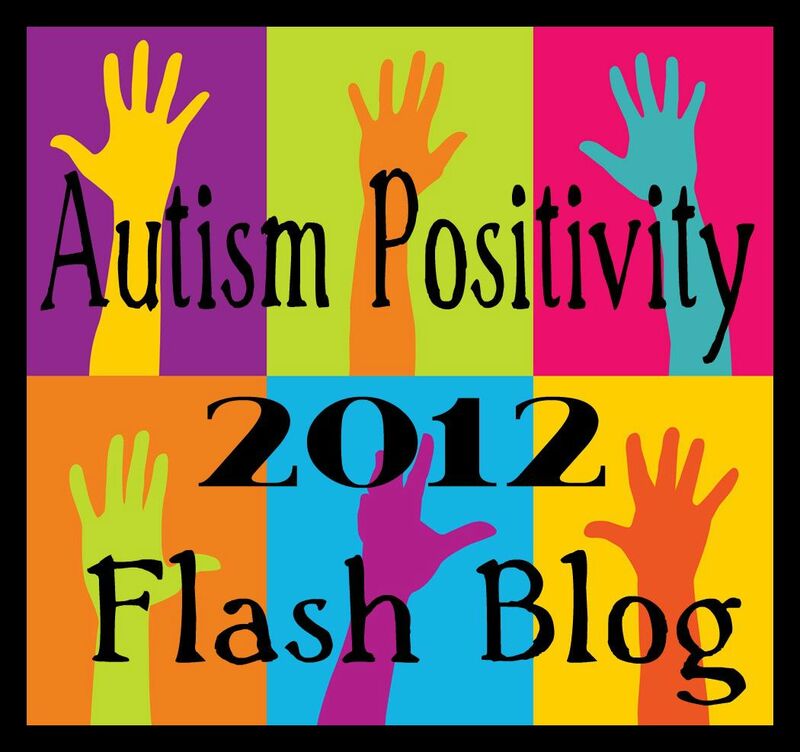 I am just glad for an excuse to share how awesome your blogs are! Additionally, I know a lot of people have recently been nominated, since we have a rather small blogging community, and as such, I’m going to do my best to not duplicate. (Please forgive me if I do – I’m trying!) In addition, I don’t know how to count followers. So I’m just nominating blogs that I read that seem to have smaller followings than others, based on what I’ve seen (granted I don’t know much). If you don’t perfectly fit the criteria, that’s totally OK – I just want to share the bloggy love and direct my readers towards some great blogs. 1. Mac, PC, Linux, or something else? Why? 2. If you could go anywhere in the world where would you go? 3. What was your favorite childhood book? 4. What do you consider your most useless skill? 5. What do you consider your most useful skill? 6. If you could have dinner with anyone (past, present, future, don’t worry about language barriers, etc. ), who would it be and why? 7. When you were little, what did you want to grow up to be? 8. Who is your hero and why? 9. If you could be any household appliance what would you be? 10. What is your favorite movie or book? 11. Where did you sit while writing this post? It’s been fun reading the Liebster posts – I’m so glad you did this! It’s a nice way to get to know each other a little better beyond the subjects we usually blog about. Thanks! That’s awesome. My target is so confusing I still haven’t figured out its geography. It doesn’t involve straight aisles, and I always get totally lost… But I hear you on the “list by aisles” thing – I do that with my grocery stores. I stress bake! I tend to do it the day or two before I start rehearsal for a new show, when I know, rationally and intellectually, that I’ve done everything I possibly can to prepare, but am still incredibly anxious that there’s something catastrophically important that either I don’t know or have somehow overlooked. Doing something active with my hands that’s comforting, formulaic, and that results in carbohydrates calms me down a little. Thank you, E! I am honoured. Yay!